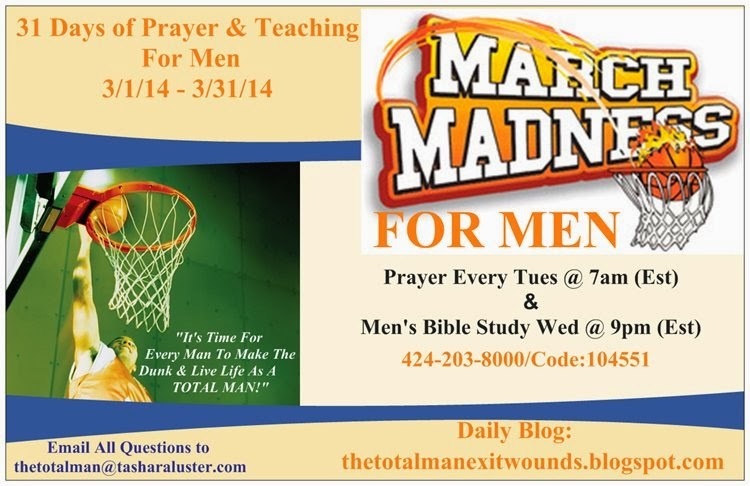 As you gear up for the Sports Event of the Year, we are challenging you to TURN UP for the Spiritual Event of the Year --- March Madness for MEN! 31 Days of Prayer & Teaching designed just for Men. These are my spiritual sons in whom I am well pleased: Min. Jared Honeyman, Min. Eugene Blakely, & Psalmist Brandon Trail. Please find them on Facebook to get more information about them & their ministry! Wednesday, March 19th at 11:45pm-12:15am (EST). Dial 805-399-1000/Code:625008 for your overflow blessing!